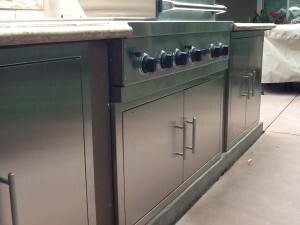 Are you upgrading your outdoor BBQ during your home remodel? Have you thought about what type of doors you’ll select? Although it might seem like a minor decision, stainless steel doors have a number of important benefits, which is why a number of clients have chosen them as part of their landscaping. By now, it’s no shock that we love LED lights. 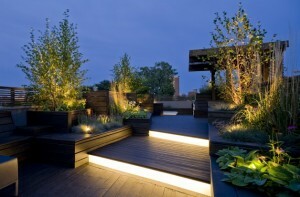 As we shared in our last post about lighting your home, “they last longer than incandescent bulbs and compact fluorescent lamps (CFLs), are free from toxic materials like mercury, can deliver the same amount of light using just 10-15% of the power as conventional technologies and have a higher color rendering.” So why not put them outside your home as well? If you browse outdoor fireplaces on Houzz, you’ll find a lot of fun ideas. 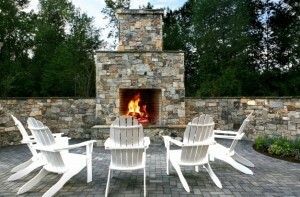 Besides the warm, comfortable appeal, what are the benefits to installing an outdoor fireplace in your backyard?